If default printer keeps changing in Windows 10, this Group Policy and registry based workshop will help you to fix this problem. If you’re working with different printers on Windows 10, you might have noticed that the default printer keeps changing every time. Actually, Windows 10 ships with a setting that allows it to manage the printers automatically and set the last used printer as default one. Some users may not like this behavior and they want to set their primary or single printer as default printer. 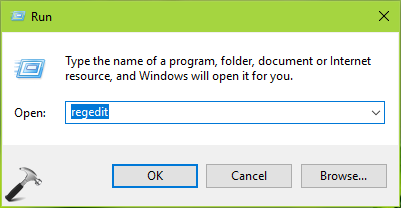 To achieve this, they should first disable that setting which commands to Windows 10 to manage printer automatically. The setting is available in Windows 10 Version 1511 (build 10586) or later only and is located under Settings app at Devices > Printers & scanners. So to disable the Let Windows manage my default printer setting, simply toggle it to Off. You can use the below mentioned advanced ways to force Windows 10 to turn off this setting. The registry method is good to follow for a standalone machine but if you’re working in an organization and you want to roll out same setting to hundreds of machines, you can configure the policy setting on centralized machine as mentioned below. In this way, you can prevent Windows 10 for changing default printer on your system. See this article, if Windows 10 can’t set a default printer for you. Related: Deleted Printer Keeps Reappearing In Windows 10.